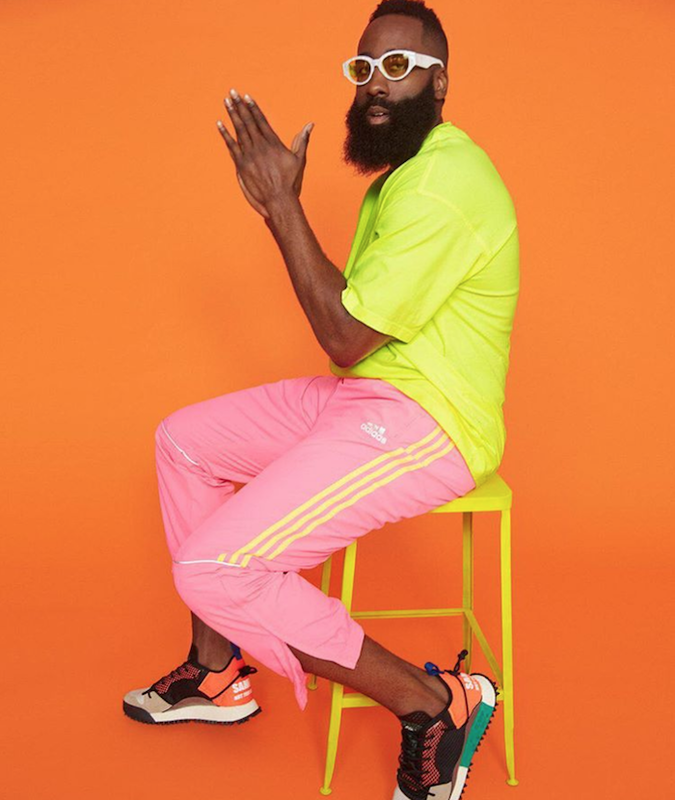 The Houston Rocket's finest is looking fly and delicious in bubblegum pink Adidas pants, Balenciaga shirt, and Alexander Wang sneakers for his GQ shoot. This photograph also confirms my addition of white framed sunnies to my spring wishlist. Harden, you are a heart throb.